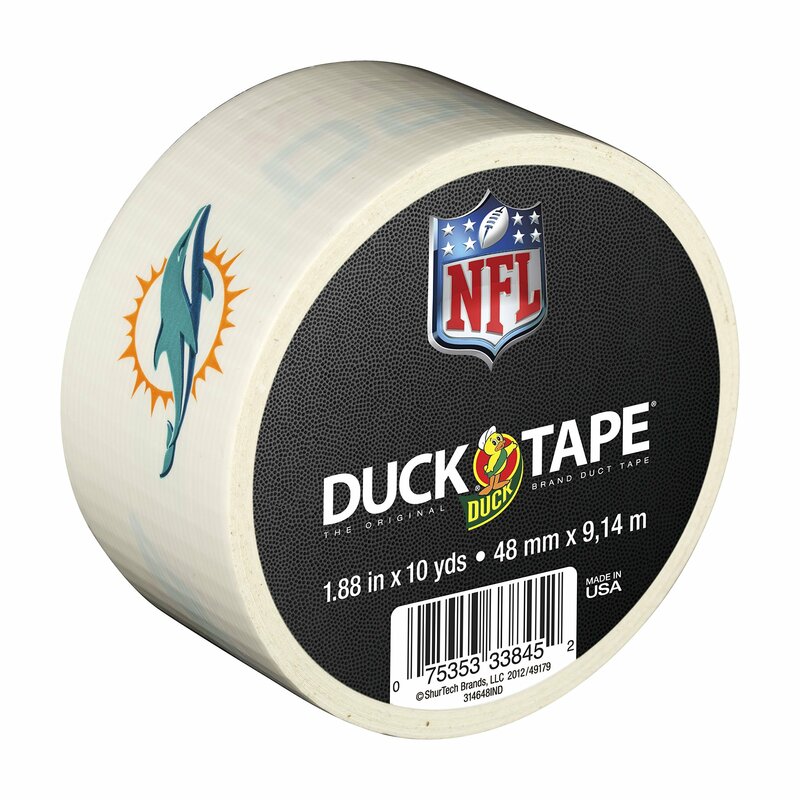 Home › Duck Brand 282376 Miami Dolphins Nfl Team Logo Duct Tape 1.88-Inch By 10 Yard..
America's favorite fix-all is now available with officially licensed NFL team logos. From standard repairs and fixes to fan engagement and pre-game tailgates, the uses are endless. Win or lose, it's a great way for die-hard fans to show they stick with their team. Just as football is played in all elements, Duck Tape stands up against the elements with a reputation for being tough, durable and waterproof. Each roll is 1.88-Inch wide by 10 yards long. It features high performance strength and adhesion characteristics, tears easily by hand without curling, and conforms to uneven surfaces. Duck Tape is America's favorite fix-all. From industrial strength to general purpose, Duck Brand Duct Tape comes in a variety of shapes, strengths and colors.